Copyright © 2000 Regents of the University of California. All rights reserved. 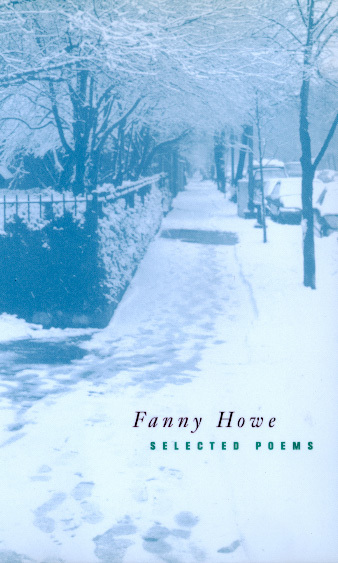 One of the best and most respected experimental poets in the United States, Fanny Howe has published more than twenty books, mostly with small presses, and this publication of her selected poems is a major event. Howe's theme is the exile of the spirit in this world and the painfully exciting, tiny margin in which movement out of exile is imaginable and perhaps possible. Her best poems are simultaneously investigations of that possibility and protests against the difficulty of salvation. Boston is the setting of some of the early poems, and Ireland, the birthplace of Howe's mother, is the home of O'Clock, a spiritually piquant series of short poems included in Selected Poems. Fanny Howe is Professor of Writing and Literature at the University of California, San Diego. She is the author of more than twenty books of fiction and poetry (most recently, One Crossed Out, 1997).